Open most lunches and suppers throughout the year. Booking essential. 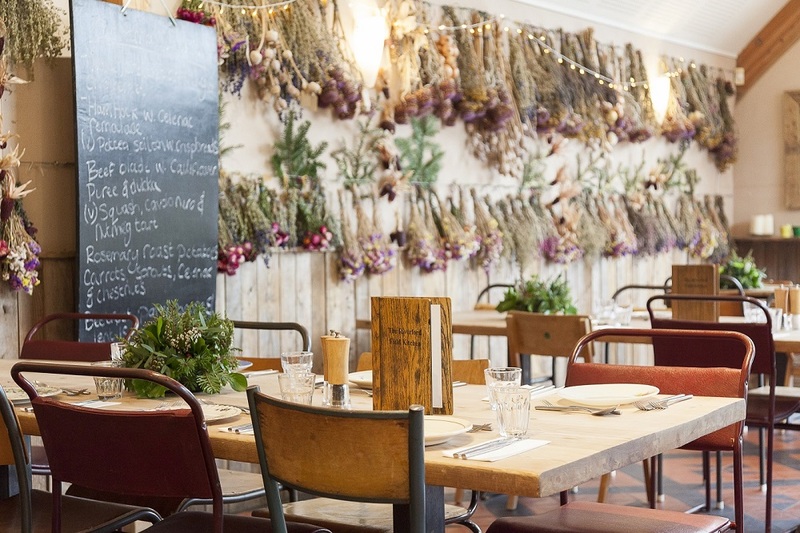 Riverford's Devon farm restaurant where veg is the star, straight from field to fork. Shared dining and set menu offering the best seasonal organic produce in a relaxed rural setting. I love going to The Riverford Field Kitchen as the food is always lovely and one is always catered for brilliantly. I am a vegetarian together with various food intolerances and I am always happy with everything. The atmosphere is always good too  . Amazing experience. Thanks for everything, including being so baby kid friendly! Brilliant food and amazing things done with veg. This was our second visit and we will be back many more times. Absolutely delicious and a lovely day out! This is the second time I've been to Riverford but the second of many! The food is out of this world delicious and there's a good amount of everything without leaving you feeling uncomfortably stuffed. Every dish was superb and leaves you inspired. Also a lovely range of locally sourced wines (with vegan / vegetarian options clearly labelled) and beers / ciders / ales. The dining style is relaxed and sociable which is so refreshing to any other dining I've experienced. Loved it so much, my favourite restaurant by far. A great place, love meeting others also dining, and fantastic food! Loved the menu, enjoyed trying your innovative dishes. Service was excellent too. Took relatives who had wanted to go for some time and they said the experience was even better than they had hoped. The format, flavours and organisation could not be faulted and they loved it all. We have been many times and it has always been superb in every way, thank you. Also family friendly. The staff were so very helpful. They printed off a map for our farm walk. It was a really special lunch. We will be back. We had a lovely meal in thoroughly beautiful surroundings with really great people we’d never met before. An inspirational couple of hours. Definitely worth the 90 minute drive, we’ll be back. Just a fantastic evening and a great concept to meet people one would otherwise never talk to over dinner. The salad starters (multiple) were delicious and the slow cooked lamb was as incredibly tender. With a fantastic sticky toffee pudding and custard to finish, I was ready to explode. Very, very good. Meat-free Monday was amazing. We loved the food, the atmosphere and the setting. Another delicious and very sociable Riverford lunch. An annual treat on route home from holiday. We wish we lived nearer to you! Many thanks for your review. We're really pleased you enjoyed your meal with us. It was our first experience at Riverford, it had been recommended by friends and it did not disappoint! As big foodies it looked perfect for us to try new and different food. We loved the idea of the set courses of seasonal food with the food coming out on the platters to help yourself. All of the food was amazing and we are looking forward to returning during a different season. Thank you to all the staff for a fantastic dining experience. Many thanks for your review. We're glad you enjoyed living life on the veg with us! We hope to see you again soon! Everything about this place is spot on. The food is fresh, vibrant and plentiful. The staff helpful and polite and the atmosphere is really special. Many thanks for your review. We hope to see you again soon. This is my second visit to Riverford and I wasn't disappointed. I took friends who were visiting from Sussex. We all had a fabulous lunch, tasty and fresh. Can’t wait for my next visit. A food for the soul experience... restoring faith in the importance of sharing a meal with others. Delicious plates of stunning food using thoughtfully presented ingredients. Every dish was incredible and the selection of puddings was amazing (especially the option of being able to try a little bit of two!). We would definitely love to return - maybe trying a different season. A very pleasurable way to spend a Sunday afternoon in such a beautiful environment. Thank you very much. Many thanks for your review. We're really pleased you enjoyed your meal with us and we've hopefully inspired you to experiment with your veg at home! Many thanks for your review. We're pleased we could cater for your friends so they could enjoy living life on the veg! The staff were friendly and attentive, topping up our water and checking we were happy. The food was incredible; delicious, fresh and very filling! It is hard to fill up my four sons and husband but you managed it! I feel inspired to cook vegetables in different ways! This is my fourth visit and it never disappoints. Can’t wait to come back again! 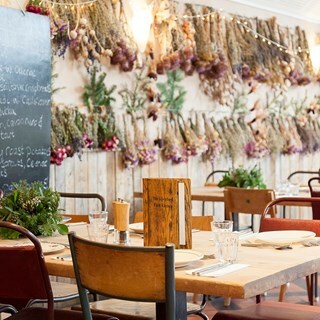 Love eating at Riverford it is always refreshingly different and delicious. Had a wonderful lunch in a very pleasant relaxed atmosphere.